First things first; congrats to Studley for winning the 2011 Football Foodie CFB Pick’Em Pool by an outstanding eleven-point margin. The fight for second place was tight with WisconsinRob coming in just a single point ahead of Sambria in third place and a mere two points above DougOLis in fourth. Studley gets the opportunity to submit a guest post on the sports and/or food topic of his choosing as well as a few things I’ve already picked out for him from the LSU store. Who wouldn’t want to win LSU ice cube trays? 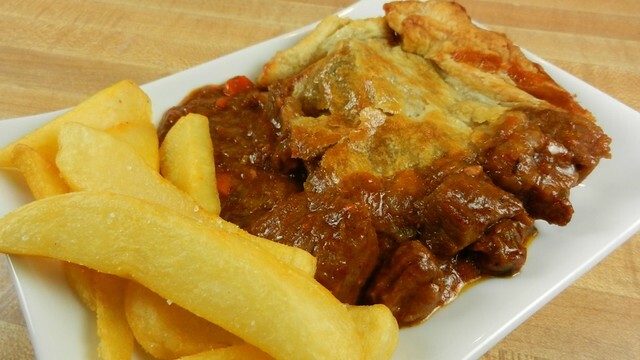 As we head into December, game days start to get colder and we want for something warmer, heartier to go with our football, and one of my favorite dishes for this time of year is the classic British pub food, steak and ale pie. 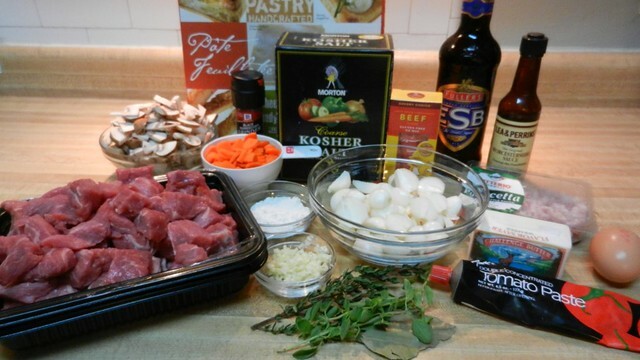 The secret to one a great steak and ale pie is taking the time to really let the meat, mushrooms, onions and herbs develop in a slow simmer on the stove top. 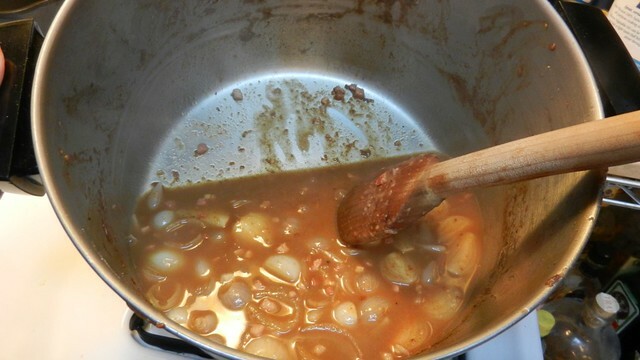 The pearl onions and the pancetta almost completely dissolve into the gravy, which in turn will permeate their flavors deep into the beef and mushrooms. Carrot, thyme, marjoram, garlic and the hint of Worcestershire sauce meld together beautifully, and you’ll have a hard time deciding if you want the gravy on your next bite of crisp pastry or if you want to dip a fry in its savory embrace. Fullers ESB is a great beer for steak and ale pie, with both its strong malt and hops tones. Plus it comes in a big bottle so you can drink the rest of it while cooking. 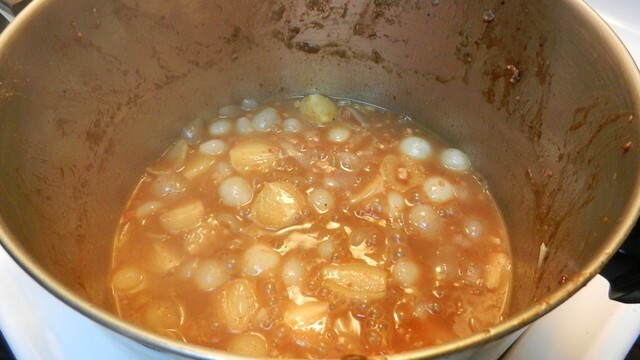 I prefer to use pearl onions over regular onions because of their slightly sweeter profile and because they are so thin, they easily cook down completely into the sauce. Many grocery stores sell them already blanched and peeled fresh, but you can also use frozen pearl onions that have been thawed. Season the flour with about a teaspoon each of salt and pepper. 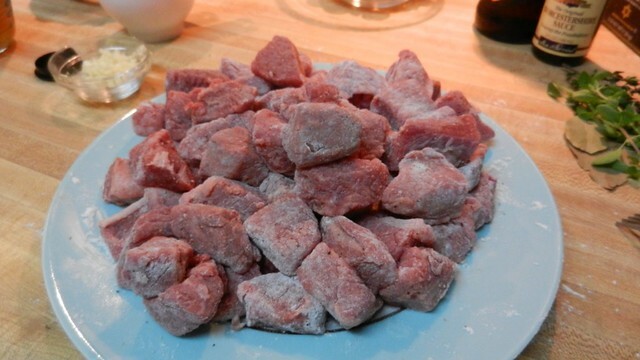 Toss the beef with the seasoned flour mixture until well coated. In a large pot, melt 6 tablespoons of butter over high heat. 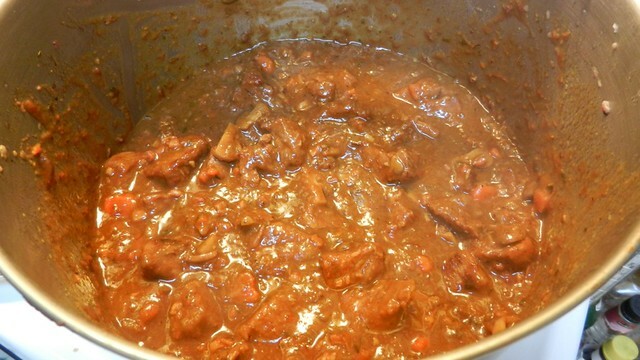 When the pan is very hot, add the cubed beef and brown on all sides. The key here is to keep the heat up so the meat gets evenly browned, as the sear is going to help give the dish its rich flavor. Stir the meat often for even browning. 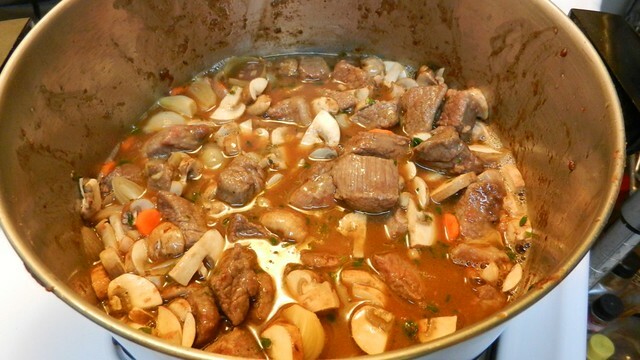 Once the meat has been browned, remove it from the pot and set it aside. Don’t worry if the beef is still a bit pink in the middle, you’re just looking for the browning. Turn the heat down on the pot and toss in the cubed pancetta. When the pancetta is mostly cooked, add in the sliced pearl onions. 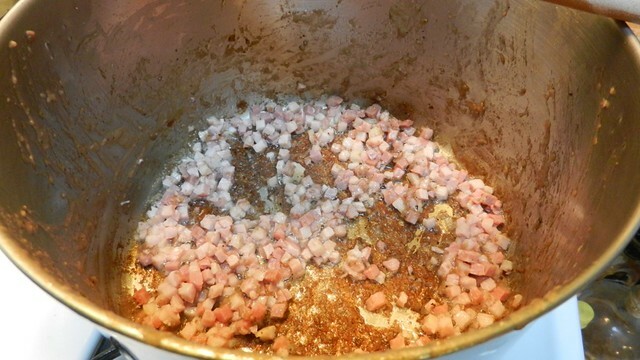 If there is not enough fat from the pancetta left in the bottom of the pot to prevent the onions from sticking, add in the remaining 2 tablespoons of butter. Cook for a few minutes or until the onions have started to soften. Add the garlic and cook for a minute or two more. 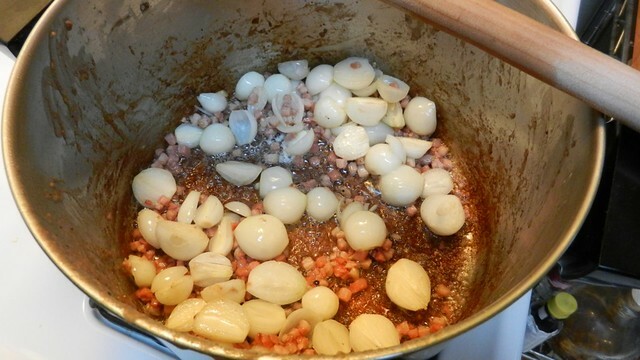 Once the onions and the garlic have softened, stir in the beef stock and bring to a simmer. 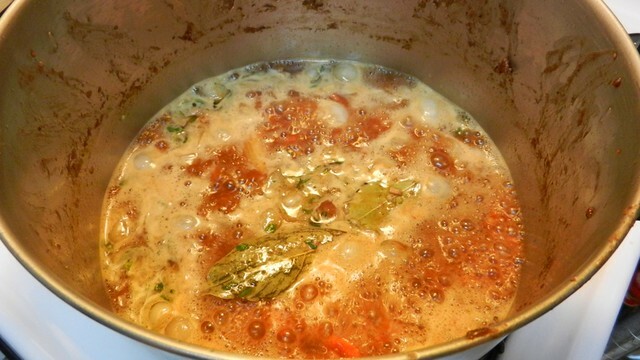 After the stock has come to a simmer, slightly tilt the pan and pour in the beer. You want to either deglaze the bottom of the pan with the beer directly, or scrap with a wooden spoon until all the flavorful brown bits have made their way back into the liquids. Add the herbs, Worcestershire sauce, tomato paste and carrots and bring to low boil. 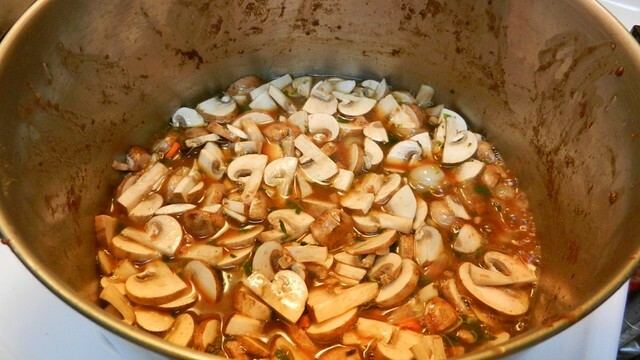 Toss in the mushrooms and cook for a few minutes more. Then add the beef back into the pot. Bring to a low simmer and cover. Now here’s the hard part. Let it simmer, stirring occasionally and making sure nothing stick to the bottom of the pot, for an hour and a half. This will be the longest 90 minutes of your life. It will smell amazing and you’ll want to take a taste of it every time you lift the lid. Anyone who shares a living space with you will try to sneak bites. Your pets will take up residence next to the stove. Neighbors will show up at your door asking if they could possibly come over and watch the game at your place, even if it means watching Jacksonville-Tampa Bay, they’re in. Once you’ve reached the final 30 minutes of stewing the meat, preheat the oven to 425º and set out the pastry to thaw for rolling out. After the longest 90 minutes of your life, you’ll have thickened perfection. Remove the bay leafs and check for seasoning, adding more salt or pepper to taste. 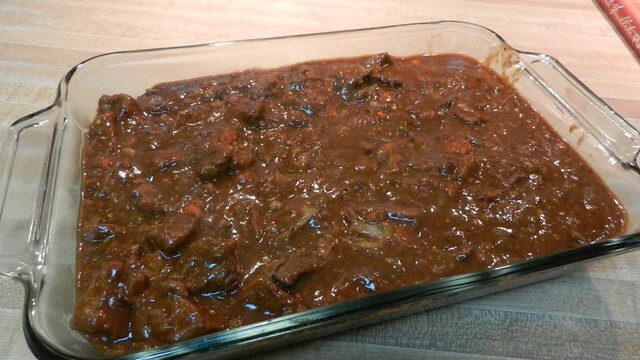 Pour the steak and ale mixture into a 2 quart baking dish. I prefer to use a 11 x 8-inch dish since it’s easier to cut it into servings once the pie is done. Be sure to scrape every last bit of goodness out of the pot into your dish. If needed, roll out the pastry dough to be the correct size of your baking dish. Beat the egg and brush it along the edge of the dish so the pastry can form a seal for baking. 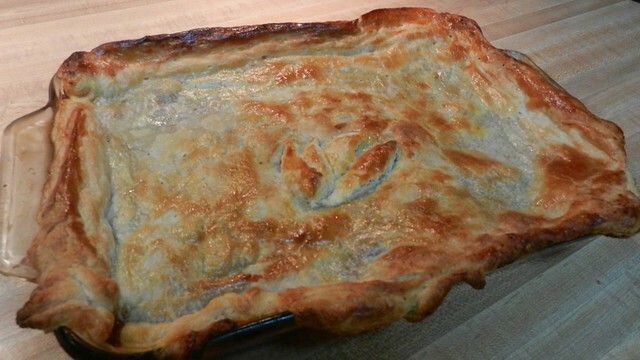 Cover the baking dish with the pastry dough and cut off any extra dough that falls too far down the side of the dish. Brush the pastry with beaten egg. Bake for 20-25 minutes, until the pastry has turned golden brown. If the edges start to cook too quickly, cover with foil. Once done, let rest for about 5-10 minutes. Cut the pastry, trying to keep as much as the filling under the crust as possible. 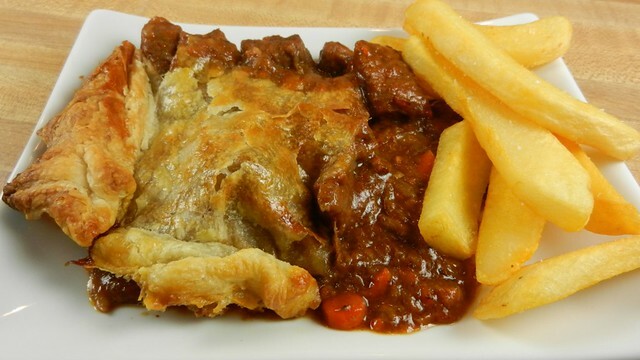 Serve with steak fries or mashed potatoes. Can you believe it’s already this late in the season? The college bowl games have been announced. This morning I was talking about wild card pairings in the NFL. Feels like the year just started and here we are with less than a month of the regular season left. It also means it’s time to start stockpiling Super Bowl recipes. 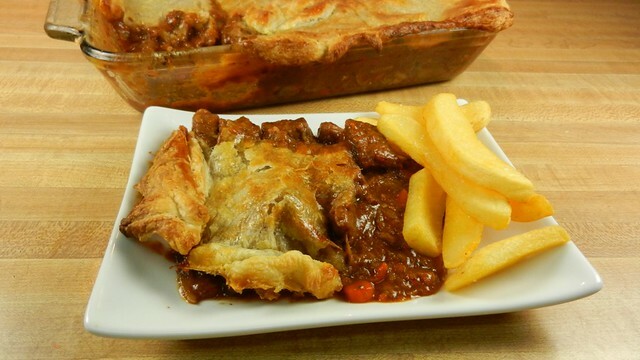 Hearty steak pie seasoned with mushrooms, ale, pancetta, onions, carrots and herbs will you through the coldest winter games. Season the flour with about a teaspoon each of salt and pepper. Toss the beef with the seasoned flour mixture until well coated. 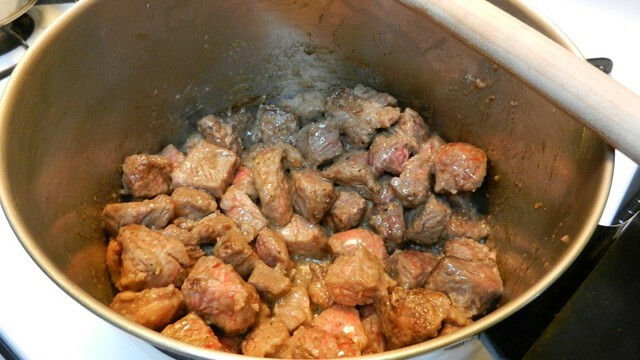 Once the meat has been browned, remove it from the pot and set it aside. Cook for a few minutes or until the onions have started to soften. Once you've reached the final 30 minutes of stewing the meat, preheat the oven to 425º and set out the pastry to thaw for rolling out. 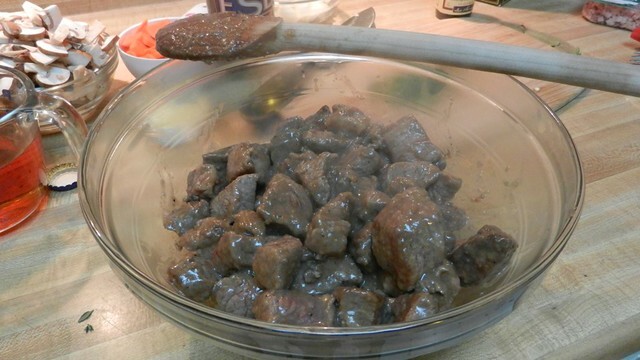 Pour the steak and ale mixture into a 2 quart baking dish. I prefer to use a 11 x 8-inch dish since it's easier to cut it into servings once the pie is done. 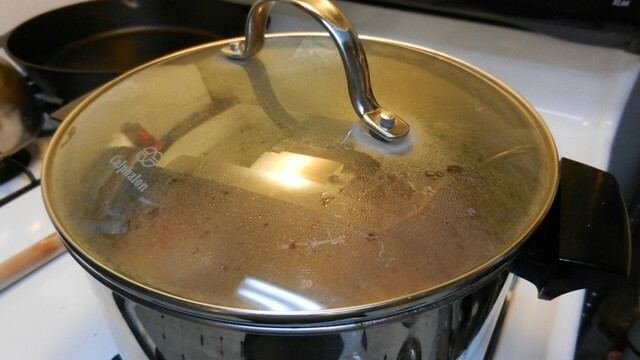 Be sure to scrape every last bit of goodness out of the pot into your dish. 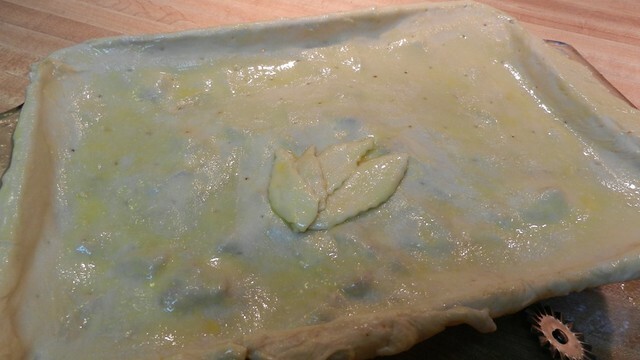 Cover the baking dish with the pastry dough and cut off any extra dough that falls too far down the side of the dish. Brush the pastry with beaten egg.